A cornucopia is the traditional table decoration of Thanksgiving. 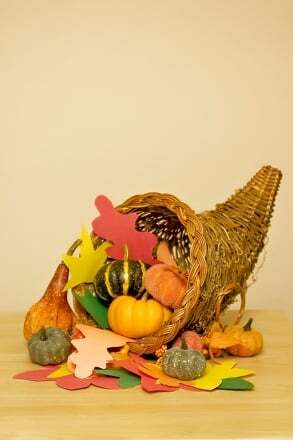 Usually, it’s filled with pumpkins, gourds and leaves to celebrate the bounty of autumn and harvest time, but a cornucopia can also be a terrific catalyst to get your kids thinking about all the things they’re grateful for. Let all your Thanksgiving guests join the celebration by slipping their own thank-yous into the cornucopia before the meal. 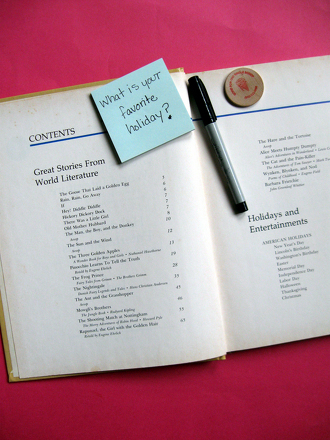 With this activity, your child will get to practise reading and writing while getting into the holiday spirit! And when she's done, she'll have made a festive decoration for all of your guests to enjoy. Help your child cut leaves from the construction paper. There’s no “right” leaf shape, but it can be fun to collect leaves from your yard or from around your neighbourhood and copy their shapes. 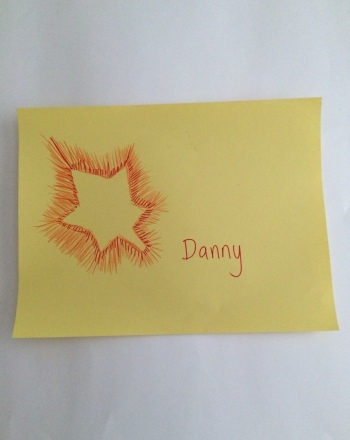 Your child can also practise creating symmetrical shapes by folding a piece of paper in half before cutting, drawing half of a leaf shape and then cutting it out. When she opens it up, she'll have a completely symmetrical leaf. Keep cutting! You’ll want to cut out around 20 to 50 leaves. This is a project the whole family can do together! Divvy the leaves up among your family members—save a handful for any Thanksgiving guests who might be coming over for dinner. Each person will use a marker to write something he or she is thankful for on each leaf. Each person can make as many thank-you leaves as he likes! When you’re done, scatter the leaves in and around the cornucopia and fill the basket with the harvest items. For extra practise, have your child read some of the thank-yous aloud before Thanksgiving dinner! Help your second grader learn how to read a maths table by using this maths farm table to answer a set of questions. Young readers will practise using a table of contents to find information and answer questions about chameleons. Practise using a table of contents to find information and answer questions using this handy worksheet. Send your child on a table of contents treasure hunt to help build basic research skills! Navigating a book is a skill that is sure to come in handy later on. Your little bookworm will practise using a table of contents to find information and answer questions about the whole book. Give your student some practise multiplying by nine with this times table worksheet. Give your students an overview of time with this colorful lesson. 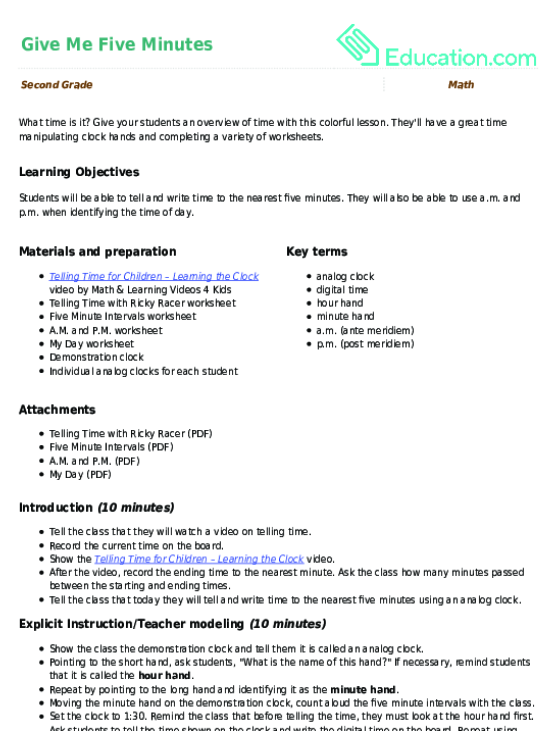 They'll have a great time manipulating clock hands and completing a variety of worksheets.